This Wigwam diabetic sport sock is a great choice for any WorkingPerson in need of a virtually seamless toe closure and a looser fit. This diabetic sports quarter sock was designed to always be fresh, dry and cushioning. The Wigwam F1364 features Dri-Release ... (see full details) (see specifications) #WGWF1364-051. This Wigwam diabetic sport sock is a great choice for any WorkingPerson in need of a virtually seamless toe closure and a looser fit. This diabetic sports quarter sock was designed to always be fresh, dry and cushioning. The Wigwam F1364 features Dri-Release which is a patented technology that blends both moisture absorbing and repelling fibers together to pull moisture away from your feet to the surface of these sport quarter socks so it can evaporate quickly as air moves over these socks. The contents of this sock are 87% Dry Release and 13% stretch nylon. For the best care, be sure to wash these socks inside out in warm water. Please do not use bleach, hot water or fabric softeners. Also, set the dryer heat to low or air dry these socks. All of these recommendations will help keep these socks performing longer. Choose this Wigwam F1362 diabetic sport sock if you are a WorkingPerson in need of socks with a relaxed fit and nearly seamless construction. This Wigwam sock was formerly known as the Healthy Sole Quarter Sock. These socks are the made from the softest cotton. 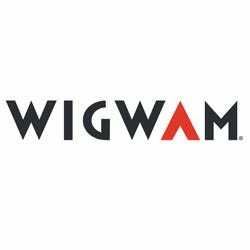 I used to buy wigwam socks years ago, but I thought they went out of business, their socks lasted for years back then. I've only had the socks for about 6 months and they are still like new. maybe a little dirty. It says to hand wash them and they last longer, but my wife wouldn't here of it and threw them in the wash with bleach and soap and the whole 9 yards.they've probably been washed about 50 times and still feel like new. love them and will buy more. not cheap, but you get what you pay for. quality. How often can you say that? Not from china. A BIG plus to me. Wigwam Socks: Diabetic Sport Quarter Sock F1364 051 is being added to your cart.